The start of a new year is often seen as a chance to start afresh. 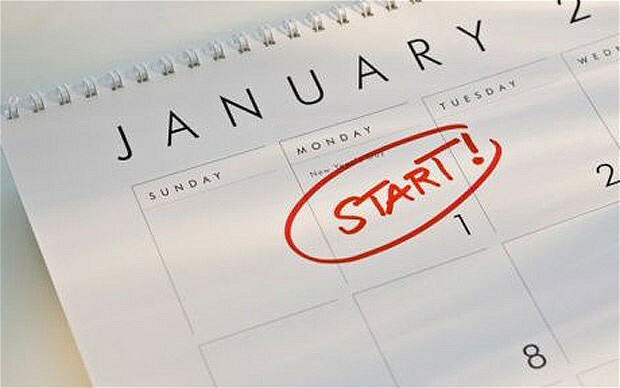 For 2014, why not start a resolution to stop rushing things and completing them a few days before the deadline and start planning ahead. Having a proper financial plan helps you to ensure that your financial future will bring you better wealth, peace of mind and freedom from any financial burden. You are able to make concessional superannuation contributions such as Employer Superannuation Guarantee (SGC), Personally Deductible Contributions (for Self Employed persons) and Salary Sacrifice totalling $25,000 for the 2013/14 financial year. The concessional contribution cap is $35,000 for persons over age 59 as at 30 June 2013. Non Concessional Superannuation Contributions (after tax contributions) are limited to $150,000 per annum or $450,000 under the “bring forward provisions” over the next three financial years. Breaching any superannuation contribution caps can land you in hot water with the Australian Taxation Office (ATO) and hence, we recommend that you discuss this during our conversations over the coming months. Furthermore, you also need to look at how your super is invested. Is the investment mix right for you? Should you have a Self Managed Superannuation Fund (SMSF)? Should you save cash and have your life insurances paid from your super? It is great that you are getting your debt down, but there is no point paying more off your mortgage only to run up a credit card balance. In the debt stakes, always pay off whatever has the highest interest rate, and that probably won’t be the mortgage. And once the credit cards are under control, why not use an Offset Account attached to your mortgage? Money parked there is like paying off the mortgage, and is tax free. You will be able to access your money in the offset account at any time just like a transaction account. This can be pretty handy, especially during an emergency. As interest rates drop, you need to squeeze the most out of your savings. Online at-call accounts often have lower features but offer the best rates. If you have reasonable savings, perhaps put some in a term deposit as a hedge against falling rates. But don’t forget, the best way to save is the mortgage offset account – it is a higher rate, tax free. You should review your shareholdings every year, and you may as well do it now so you don’t forget. Re-balancing is what advisors call selling out of one share and buying more of another if they’ve moved out of kilter. So if one share has shot up, you take some profits by selling some of your holding and buying more of one that hasn’t moved or even dropped, as long as you’re still happy it will be a good investment. With brokerage so low, you can afford to buy or sell in smaller amounts and you’re not trying to time the market, which is impossible. Expenses expand to fit the income available, or exceed it. So the best hope you have of saving is to treat it as an expense as well. Then you have no choice, do you? A rule of thumb is to immediately put as close to 10% as you can of each pay into a savings account or mortgage offset account – without starving or reverting to your credit card. Just to be sure, set up a direct debit so you never have to think about it. Unless you’re paying less than 0.5% less than a bank’s advertised home loan rate, you’re being ripped off. The banks are offering discounts just for asking and there are many loans out there less than 6%. Should you fix your interest rate? Yes, some of it, especially if you can fix at or below what you’re already paying. To have more certainty of fixing it all, you’ll need to weigh up the likelihood of more interest rate cuts in 2013 and the loss of flexibility against the fact this is about as low as fixed rates go. Start collecting those receipts and thinking about the tax implications of your investments. Hiding in bank savings accounts or term deposits isn’t getting you ahead in real terms. What inflation doesn’t take out, tax will. The two best Government sanctioned ways of avoiding tax are super and franked dividends from shares. If you have any questions, we can help you. Contact us today at info@mediqfinancial.com.au or 1300 MEDIQ (63347) to organise a free initial consultation. Our team of medical financial experts can provide you with recommendations that will protect and improve your and your family’s financial position over time.